My Niece's birthday is coming up on the 21st, and I've been contemplating on what to get her. I finally found the perfect gift. See my niece along withe the rest of my family loves Softball & Baseball, she plays softball. 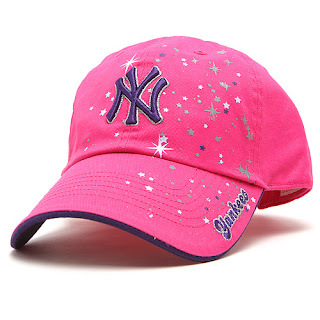 Well I went to http://www.mlb.com/ and ordered her a Pink Glittery New York Yankee hat, that's her favorite baseball team. Now I think I'm going to order me one. Check it out and let me know what you think of her gift. How cute!! Your such a great Aunt! !